English singer songwriter & former member of The Coral, Bill Ryder-Jones, returns with his fourth album, Yawn, pursuing further down the same musical path as 2016’s superb, West Kirby County Primary, with a rock record built upon sentimental roots. If there was ever an album made to accompany you as the nights start to draw in & dark clouds build on the horizon, then this is it. In 2008 Bill left psychedelic indie band, The Coral, having formed part of the original line up as lead guitarist. Being the youngest member (he was only the grand old age of 13 when they were established in 1996), the gruelling pressures of recording, touring, recording & touring a heck of lot more left their mental scars & by 2007 resulted in his absence from gigs due to panic attacks & stress related illness. This subsequently led to his exit to pursue a critically acclaimed solo career (every cloud eh). In the initial years proceeding his exit, Bill toyed with a few relatively low key stripped back folk records where his heart felt songwriting began to develop. To those seeking to dip into his back catalogue, I would recommend “There’s a World Between Us” from 2013’s “A Bad Wind Blows in My Heart” which is a beautiful slow paced number demonstrating the growing maturity of Bill’s lyrics and arrangements. The critically acclaimed West Kirby County Primary followed with a rockier element whilst retaining Bill’s soft fragile vocal delivery which is best represented on the cracking single “Two to Birkenhead”. Bill continues with this formula on Yawn where he picks from his personal troubles (noting the album cover is a picture of his older brother who passed when Bill was younger) exploring themes such as nostalgia, troubled relationships & death against a melodic & melancholy rock backdrop which feels more expansive & deeper than previous records. First track, “There’s Something on Your Mind”, begins with slow-mid paced soft jangly guitar with Bill reminiscing as he almost whispers the vocals. He notably observes in a self deprecating way “there is a fortune to be had, from telling people you’re sad”. I also love the lyric “I like old pictures of dogs, faded friendships & thoughts” & I think these demonstrate the sentimental qualities of his songwriting which, on this track, are then consumed by a wall of sound filled with guitar feedback which tumbles, squeals & crashes over the end drawing influences from Dinosaur Jr, Sonic Youth & My Bloody Valentine. The moody “Time will be Your Saviour” follows in similar fashion before “Recover” breaks reign dominated by pronounced finger picking on the guitar not dissimilar to Jose Gonzalez’s Heartbeats whilst a bellowing cello fills the background. The more sombre moments on this album such as “Recover” & both “John” & “No One’s Trying to Kill You” from later on remind me of the calm, relaxed atmosphere that Bill Callahan is an absolute master of crafting. However as typical with these types of songs, they do demand multiple listens to get under their skin but rest assured your patience will be rewarded. That isn’t to say there are not more immediate tracks on here. The middle of the record contains the trio of “Mither”, “And Then There’s You” & “There Are Worse Things I Could Do” with the latter two being real standouts. “And Then There’s You” begins with vocal delivery which often trails off softly at the end of the line adding to the delicate nature of the words & intimate feeling. This then gives way to weighty guitars & a mighty catchy chorus (which is a rare feature on this LP) of “My mistrust, my mistress, take me home again” which harks back to something you may find on his previous record. “There Are Worse Things I Could Do” starts loudly with a riff which wouldn’t look out of place on Britpop band, Longpigs, LP “The Sun Is Often Out” (& it isn’t surprising that Richard Hawley’s (Longpigs guitarist) solo output often strikes a common chord with other tracks on Bill’s LP). The verses are softer & quieter moments tinged with sadness containing poignant points like “Not that I care what people say, I just don’t feel myself today” before the riff stands loudly over the chorus. Elsewhere the last track, Happy, is of similar mould & is another standout closing the album on a high point. Whilst Yawn can be a intense listen at times due to the sheer depth of the songs, many which clock in at 5-6 mins, & the largely downbeat tone, this is an album worth investing time on. You will be rewarded with sincere & occassionally dark witted lyrics, seasoned guitar playing & beautifully arranged songs. The perfect late Autumn/Winter album. 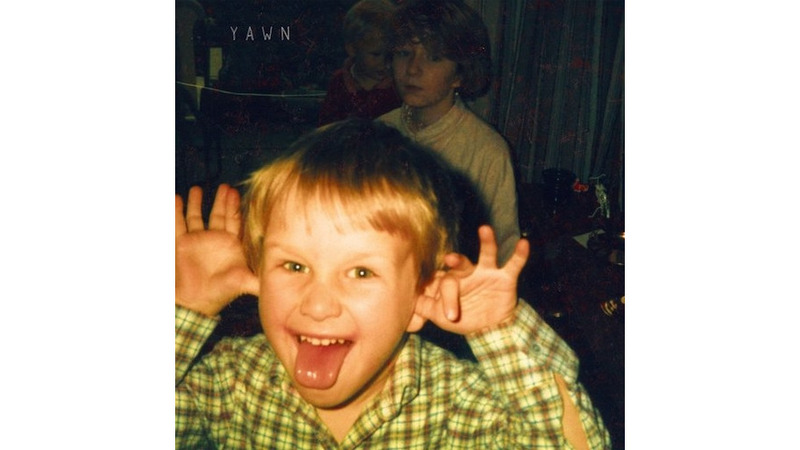 Yawn was released on Domino Records on November 2nd and is available at all good record stores & on Spotify.